This is a cross between a Visual Hypomelanistic Male and a Super Red Female. 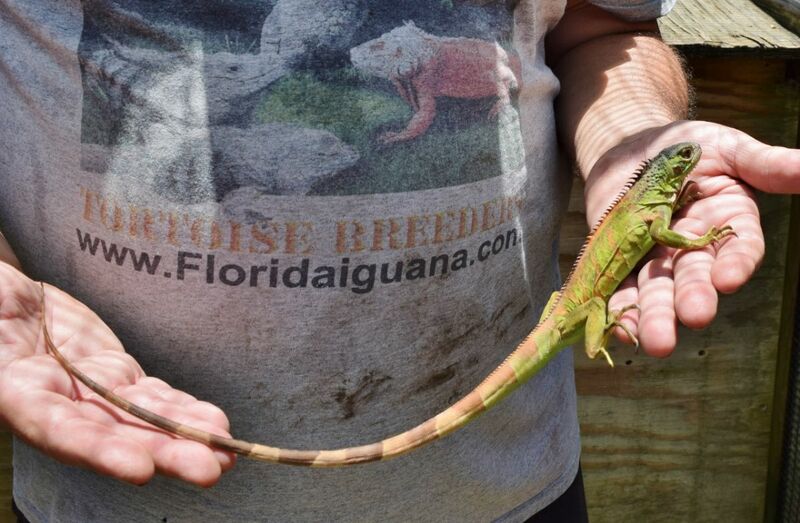 The father is a 100% Hypo Green Iguana. The mother is a Super Red Iguana. This is a visual Red/Green Cross animal. Some great genetics for starting your own breeding project. This is the first time a Hypo has been crossed with a Super Red. Not sure how many I will sell, but the price will probably go up. 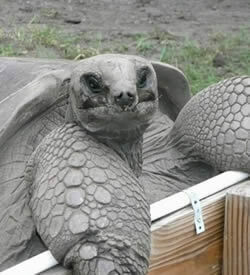 Whenever possible we like to show pictures of what adults look like so that you may have a better impression on what your reptile will look like when grown. While each animal is unique, you can see given time what you should expect. This is a cross between a Visual Hypomelanistic Male and a Super Red Female. 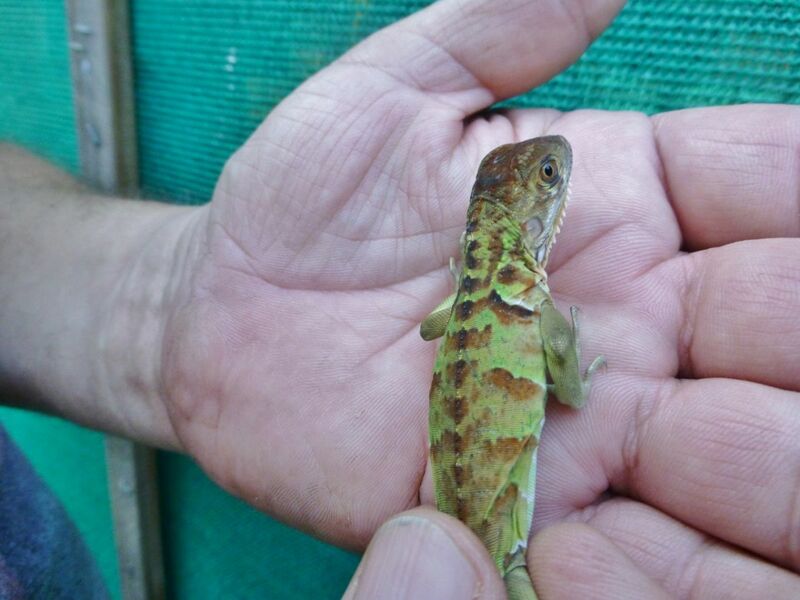 The father is a 100% Hypo Green Iguana. 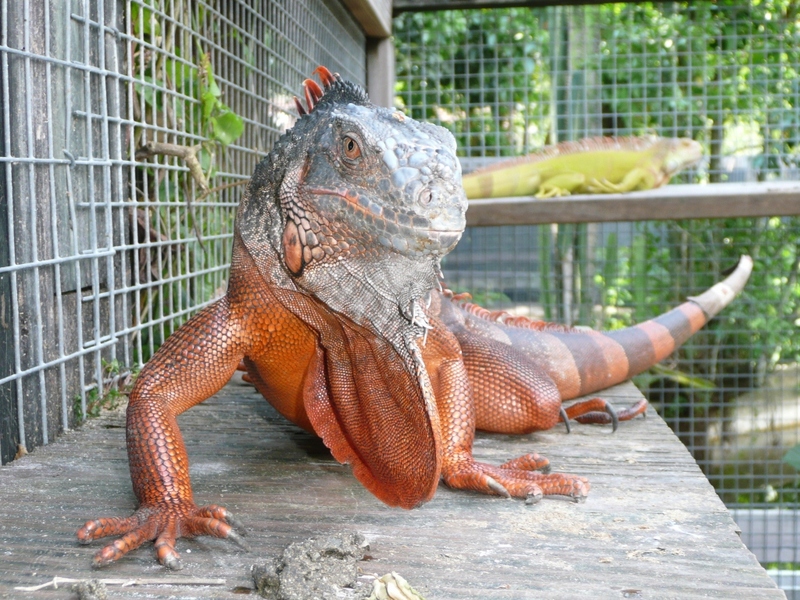 The mother is a Super Red Iguana. This is a visual Red/Green Cross animal. Some great genetics for starting your own breeding project. This is the first time a Hypo has been crossed with a Super Red. Not sure how many I will sell, but the price will probably go up. The first three pics is one animal from the clutch I am selling, the following pics are of the parents. The last Pic is of the Super Red Female. 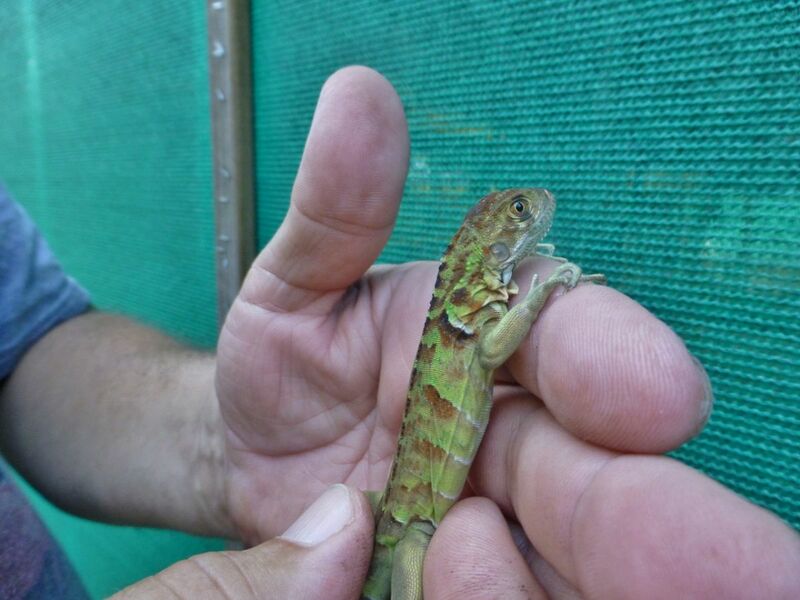 This animal is a Red/Hypo (heterozygous for Hypomelanistic) hatchling. 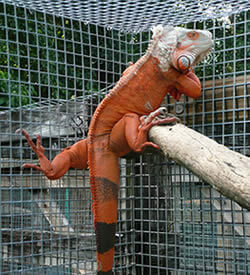 They carry one gene of the two genes necessary to produce Hypomelanistic animals and one Gene for The Red Morph. Breed two of these together and get some never seen before Red Hypos. 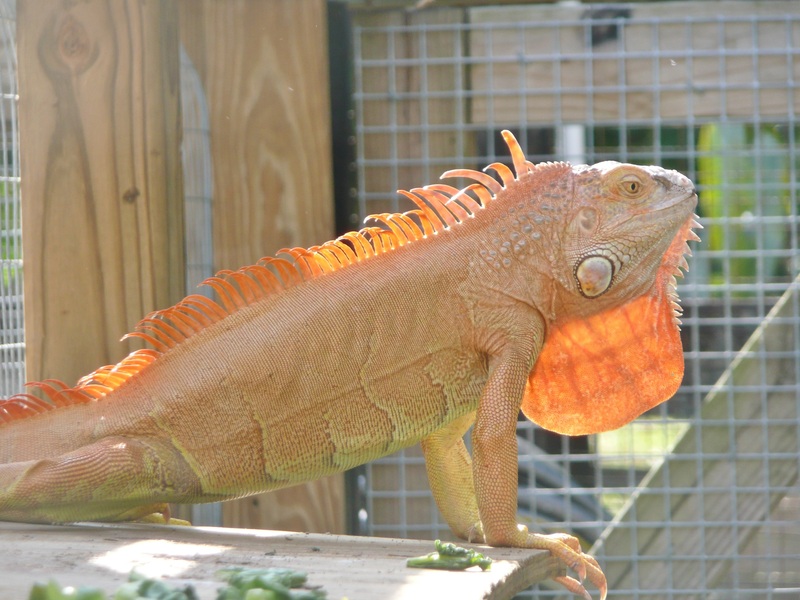 They require the same care and feeding as any Green Iguana they can grow to 6 feet.